The Commission on Election Asingan is conducting off-site registration in barangays and schools to encourage qualified voters to register for the next barangay and Sangguniang Kabataan (SK) elections. 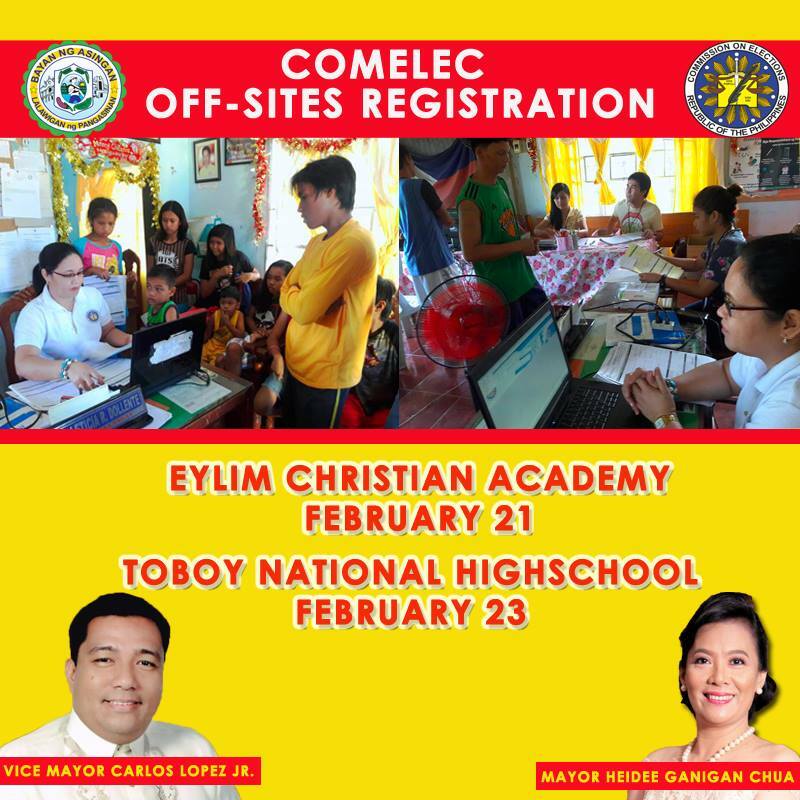 Asingan Election Officer Leny M. Masaoy said satellite registration for schools are scheduled February 21 at Eylim Christian Academy Inc., February 23 at Toboy National High school. Mrs. Leny Masaoy added off-site registration in public and private high schools targets the youth aged 15-17 years for the Sangguniang Kabataan. Comelec restarted the voter registration for the next barangay and SK elections following the postponement of elections this 2017. Registration started October 3, and will run until April 29, 2017.